“Be imitators of God” (Ephesians 5:1). “Be imitators of God.” There can be no higher standard than that. The apostle Paul boldly tells us if we are to be like God we must imitate Him. How it is possible for us depraved sinners to possibly imitate the sovereign LORD of the universe? Once we get over the initial shock we realize that as children we are to imitate our parents. We should behave like them assuming they are godly role models. Since we were born into God's family as His legitimate children when we repented and placed our faith in Jesus Christ as our Savior, we therefore should be an imitation of God (John 1:12-13). Let it be clearly stated that “imitating God” has nothing to do with trying to merit eternal life. It has to do with our sanctification. We are to grow in godliness. The supreme example of this idea of imitating God is in the life of Jesus Christ. The apostle Paul used the word mimetai from which we get our English word to “mimic.” The idea is to copy closely, to repeat another person's speech, actions, behavior and mannerisms. Paul is saying get to know your heavenly Father so you can echo His speech and behave the way He behaves. How do we “imitate” our Father? We know that the apostle is not telling us to try to imitate God's sovereignty. He alone is and ever will be self-existent and self-efficient. That is absolutely beyond our means. He alone is eternal, omnipotent, omnipresent, omniscient, etc. Those are non-communicable attributes of God. He alone is God. We are “to be imitators of God, as beloved children” (Eph. 5:1). Not childish attitudes and behavior, but as His children. Jesus sacrificed His life for us. 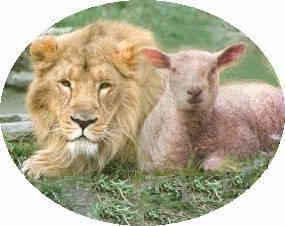 As the Good Shepherd He gave His life for the sheep (John 10:11, 15). Jesus “gave Himself for our sins, that He might deliver us from this present evil world, according to the will of God, and our Father” (Galatians 1:4). God took our sin seriously and He dealt with it fully in the atoning sacrifice of Jesus Christ. On the basis of that death God chose to forgive you and me (1 John 4:10; Rom. 5:8; Gal. 2:20; John 15:13; 3:16). Christ “gave Himself up” for you and me. He surrendered Himself to death by execution for our crimes against God. He died in our stead, i.e. in our place. That is how great His love is for us. Christians can imitate God by loving others, even to the point of death if necessary (1 John 3:16). “We are to walk in love, just as Christ also loved you and gave Himself up for us, an offering and a sacrifice to God as a fragrant aroma” (Ephesians 5:2). “Walk in love” is a constant ordering your behavior within the sphere of love. The child of God is to order his behavior within the sphere of this divine, supernatural love produced in his heart by the Holy Spirit. After a while it becomes a good habit, and we be become more and more like our heavenly Father. Let's be careful to note the context of the admonition. A couple of verses earlier he wrote, “Do not grieve the Holy Spirit of God by whom you were sealed for the day of redemption” (4:30). How do you grieve Him? The next verse says by bitterness, wrath, anger, clamor, slander, and malice (v. 31). Let's put it away from us because it causes pain, grief, and distress to the Holy Spirit of God. We can please Him by being “kind to one another, tender-hearted, forgiving each other, just as God in Christ also has forgiven you. Therefore, be imitators of God, as beloved children; and walk in love, just as Christ also loved you . . .” (4:32-5:2). How did our heavenly Father treat us? He dealt with us in kindness, compassion, forgiving. Praise God that He has not dealt with us with what we deserved. In grace He has chosen to love us and forgive us of every sin. The blood of Jesus Christ cleanses us of all our sins. That is love. That is how God treats us.